A convicted murderer who claimed his solicitors' negligence robbed him of a "substantial chance" of being acquitted has lost a High Court damages battle. Millionaire car dealer Ian Workman, 64, from Turton, Lancashire, was jailed for life in 2011 for fatally stabbing Susan Workman, 55, during a divorce dispute. Mr Justice William Davis said Workman's claim against Deansgate 123 had "no real prospect of success". His criticisms of the firm were "illusory", the judge ruled. Workman's murder conviction had been confirmed by the Court of Appeal, and there was "no evidence" to support his claim that he had acted in self-defence, the judge said. He ruled the Court of Appeal's decision made it clear that, even had biomechanical experts been called to testify at his trial, he would still have been convicted. And he accepted Deansgate's argument that his claim "amounts to a collateral attack on the verdict of the jury in his criminal trial". Workman was trying to re-open "effectively the same issues" that had already been decided against him by the Court of Appeal, the judge added. "Irrespective of the merits of the claim, which I have already found to be illusory, Mr Workman's claim is an abuse of process," he concluded. "I am satisfied that Mr Workman's action against Deansgate cannot proceed. It has no real prospect of success." The court heard earlier that Workman funded his own defence at trial and still owes the law firm £145,907 in unpaid fees and interest. 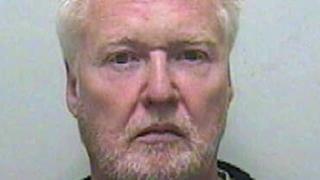 The millionaire was jailed for life in December 2011, with the judge recommending he serve a minimum of 17 years. Preston Crown Court heard he stabbed his ex-wife of 35 years once in the chest as she typed an account of their rows on her laptop, including descriptions of his abusive behaviour.